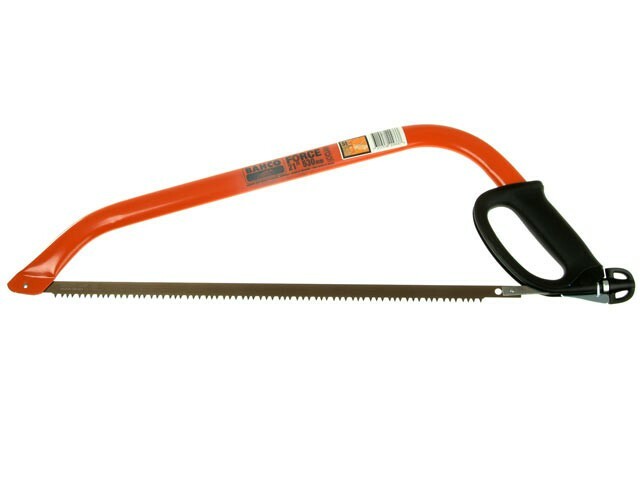 Bahco 332-21-51 ERGO™ Bowsaw is a lightweight, heavy-duty saw with high blade tension for straight cutting. The pointed nose for better access in tight areas, such as roofing and gardening. Made from high-quality steel and protected from rust and corrosion by a coating of high-impact enamel paint, and has an innovative easy-to-use mechanism that allows for maximum tension and safe handling.